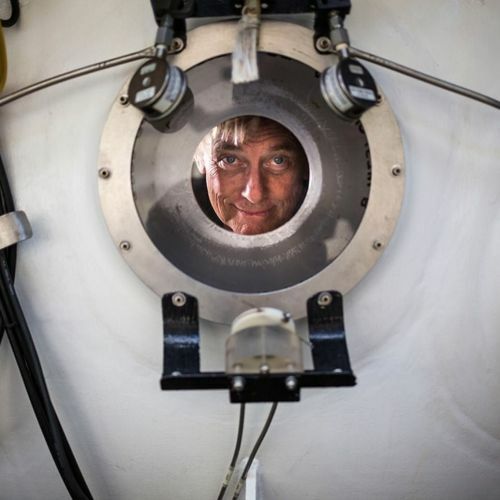 "Terry Kerby, the head of the Hawaii #Undersea Research Laboratory — and perhaps the most experienced submersible pilot alive — peered through the porthole of a Pisces V research #submarine. Since the 1980s, the laboratory has been the sole submersible-based United States #deepsea research outpost in the mid-Pacific. With a crew of five, Terry and the Pisces subs have discovered more than 140 wrecks and artifacts, recovered tens of millions of dollars in lost scientific equipment, and surveyed atolls and seamounts whose hydrothermal vents and volcanoes were unknown. But today, the fleet is faced with two problems: Dwindling budgets and robots. Deep-sea exploration is cold and scary, and time is limited. Robots might be able to do the same work for less money. Still, they can't go everywhere. Photo by @kentnish on #nytassignment." By nytimes on Instagram.